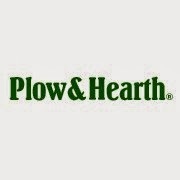 Back in 1980 Plow and Heart started as a small store in Madison Virginia and now over 30 years later is a nationally known retail and online catalog shop for great quality products for your home, hearth, yard and garden. Their Christmas and holiday selection is amazing! When I start wrapping my brain around Christmas shopping, my mind always tends toward items to keep us warm. Having lived in cold climates pretty much every winter, I think of blankets, warm robes and pj's, even hot drinks to keep me warm! The Home Section of Plow and Hearth has some beautiful comforters, bedspread, and other bedding. I was thrilled to review quilted bedding in vibrant red this holiday season! Quilted bedding means even more warmth for those cold nights. This is a King Size Madison Quilt and the pictures do not even begin to do it justice. you can see a bit the beautiful quilting and pattern on the blanket. I have a blanket and homemade quilt on my bed prior to receiving the Madison Quilt. The quilt I made is not even half as warm as this one is! This is a high quality, thick, heavy quilt made of 100% cotton fabric. It is soft and warm and the perfect addition to my bedroom. The scalloped edges give it a added delicate style that never goes out of fashion. The solid color really allows you to add with throw pillows and decorations, using the quilt as the focus color for your room. The Madison Quilted Bedding line comes in not only quilted quilts but pillow shams, throw pillows, and bed skirts. Isn't this a beautiful quilt?? It also comes in Ivory, Light Blue, Light Green, and Yellow. Sometimes the bedding can get too busy in a room, that is why I really loved this solid color piece! Consider giving the gift of a warm blanket or quilt this holiday season! Be sure to check out Plow and Hearth complete line of Christmas and holiday decorations, and gifts for the entire family. One of my very favorite catalog companies to browse through! I like this red bedspread it is very pretty, I like the items from Plough and Heart especially the solar items for outdoor use, they are very unusual and pretty. That is beautiful! Its always nice to have a quilt to keep warm in winter! very cool post! thanks alot for sharing! Beautiful and would add some fun for the holidays. You could add some festive throw pillows and change them out after the holidays. Your right it would go with a lot. Love that color. I have always really like quilts.